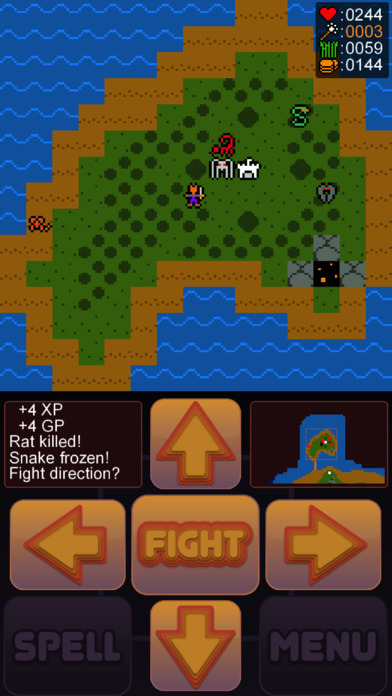 Lowlander II: Lowerlander is the sequel to Lowlander, and is once more an absolutely wonderful retro RPG where you explore the (huge) world and save it from evil. There’s very satisfying levelling and optional grinding if you want to get a better weapon early (hint: do the bee cave a few times – lots of easy enemies right there, so no trekking around depleting your food supply so much). At first you can only traverse grass, beach and forest, but you’ll eventually find ways to traverse other terrain, as well as a boat to travel to other islands. All in all it’s another hugely satisfying experience, and the retro graphics are wonderfully bright and clear.